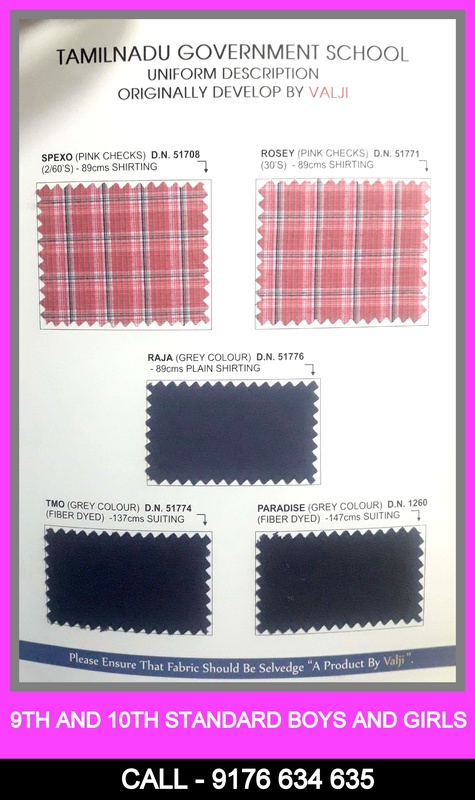 Tamilnadu Government School Uniforms produced by Valji !! 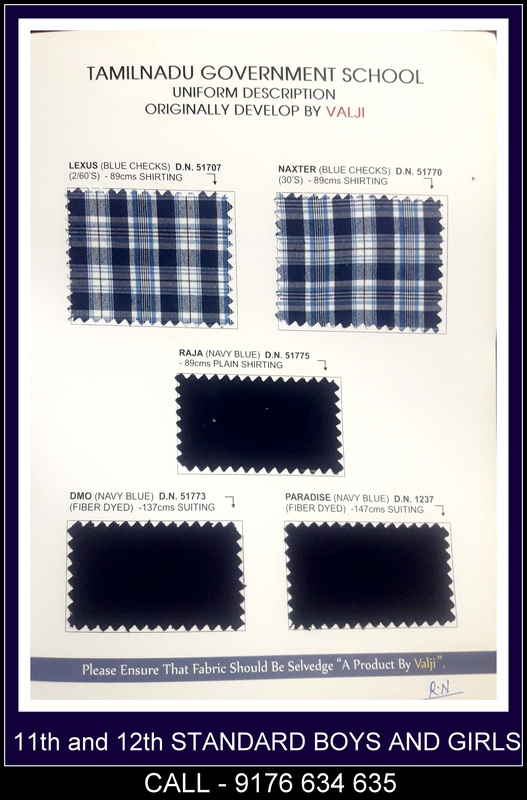 For your bookings on government school uniforms in Tamilnadu please feel free to call us at 9176 634 635. Happy to help you.